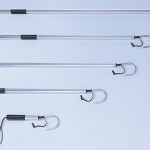 Handle Length Choose an option24"36"51" to 71" to 91" Telescoping29" to 45" Telescoping35" to 57" Telescoping48"52"
Hoop Size Choose an option17" x 19"20" x 22"22" x 27"23" x 29"25" x 32"23" x 24"
An awesome net at an even better price! Black Anodized finish eliminates reflection so fish aren’t spoked. 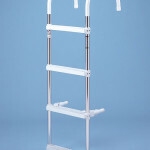 All handles are formed with sturdy, octagonal aluminum tubing for a better grip, and for ensuring the “Sure Snap” extension on telescoping models. 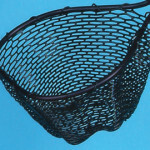 Each Sports Series Net features an aluminum, black anodized yoke allowing for easy storage. 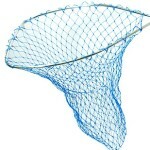 All Sport Series nets have a rubber coating to prevent hooks from being snagged in the net material. 24", 36", 51" to 71" to 91" Telescoping, 29" to 45" Telescoping, 35" to 57" Telescoping, 48", 32" to 56" Telescoping, 52"
17" x 19", 20" x 22", 22" x 27", 23" x 29", 25" x 32", 23" x 24"